He is considered to be the main figure in German Islam-Critic. For what it's worth I'm an old white dude with no real reason to complain but today it occurred to me that the question remains, "How the hell shall we ever overcome anything when half the world walks the streets with their hands up unable to breathe?" "Die Zeit", one of Germany's most prestigious newspapers, had published an article in the 52th issue in December 2014. 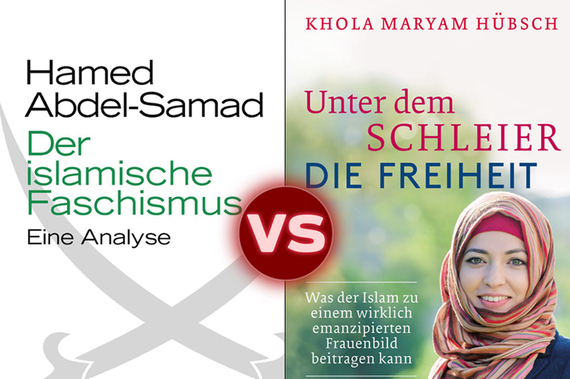 The author, journalist Khola Maryam Hübsch, is member of the Muslim Organisation Ahmadiyya Muslim Jamaat. Islam needs a Reformation. This is not a call for a muslim Luther, very well for a controversy about how we interprete our religion today. "IF u started up the blake burroughs thing i might be inspired to contribute…” JME. Mama’s birthday is coming up in a few days. If she were alive, she’d be 104. She died in 1990 after a horrible battle with cancer. I myself am heaven and hell...."
No matter what anyone has to say about how she chose to end her life, no one can claim that Brittany Maynard was not a brave soul. Death makes no sense. It’s the end of things. Human, animal or plant, we ultimately all meet the same fate. It doesn't matter who we are or how much money or power we have, the critter with the robes and sickle will claim us at some point in our lives, sometimes after a terrible illness, sometimes in a freak accident or sometimes in war or at the hands of a maniac with a gun.